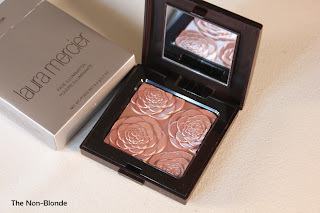 I thought I was safe from the lure of holiday 2011 shimmers and illuminators until I saw this Laura Mercier Rose Rendezvous Face Illuminator last month. 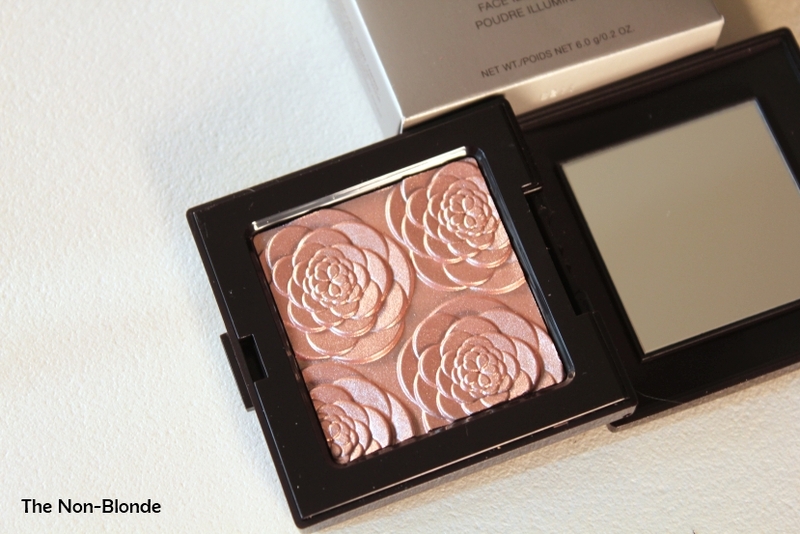 You can count on Laura Mercier to give her own subtle and flawless version of this holiday trend in a way that will not turn one's face into a disco ball. I'm ever so grateful. Laura Mercier Rose Rendezvous Face Illuminator is gorgeous in the compact, but perhaps not as breathtaking as some of the high profile highlighting powders we've seen recently. Yet, this was the one I chose for myself because of the way it looks on my face. There are three factors that make Laura Mercier Rose Rendezvous Face Illuminator my favorite shimmering face highlighter for the season: the texture is the finest and smoothest, the finish is a true glow and the color itself, a rich rosy champagne is very flattering. 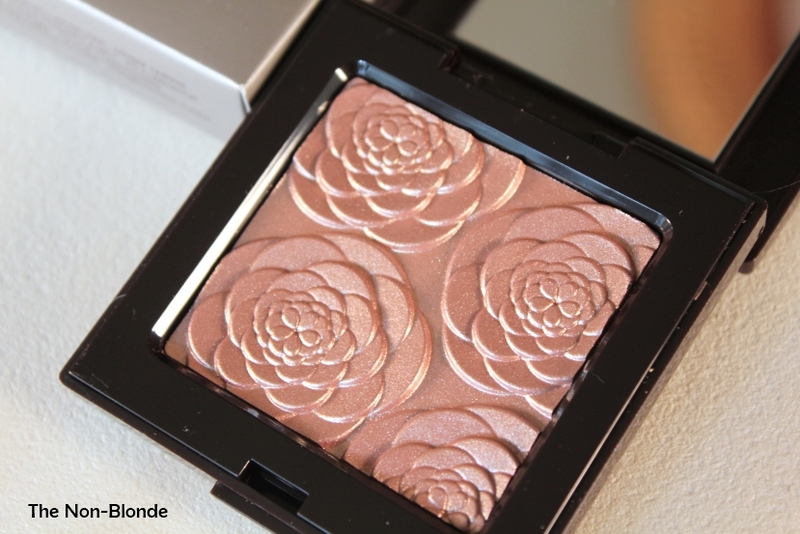 Applied with a light hand and just about any good brush in my collection, Laura Mercier's illuminator gives a healthy glamorous glow without any glitter particles. 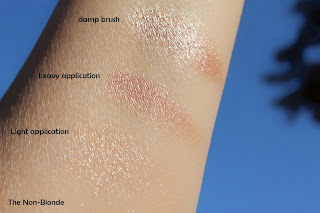 It's not as metallic as it appears in the pan, though you can intensify this aspect if you use more product and a dense brush- I've tried it this way on my lid and liked the result. 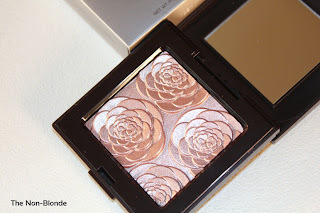 Laura Mercier also suggests on her website to apply wet, but I'd rather not go all the way to full gilding. 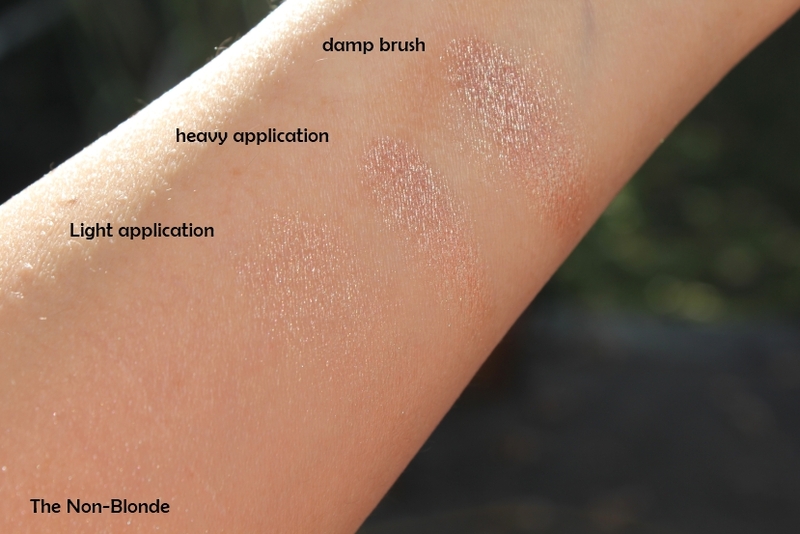 The basic color of the illuminator is probably at blush level for the pale. I can safely skip any additional face color when wearing this, though I do like the way it takes a natural looking blush to the next level for an evening look. There a lot of versatility to this pressed powder and since it's a Laura Mercier item there's very little that can go wrong. It's simple and easy to use, doesn't require any special brush: try your favorite blush/bronzer/highlighter or even powder brushes to see which one rings your bell and gives you the desired intensity. Bottom Line: as good as it gets. Check Out the review and photos of this illuminator on Best Things In Beauty. CharlestonGirl is a fabulous blonde and my complete skin opposite, yet it's just as pretty on her. 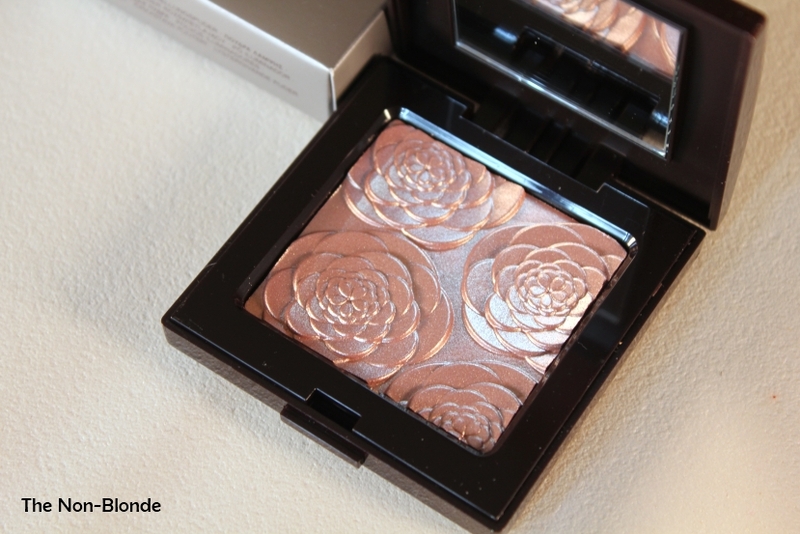 Laura Mercier Rose Rendezvous Face Illuminator ($42) is available at the counters, lauramercier.com and Sephora. I just bought this and can't wait to use it! I saw this at Nords the other day and thought it looked very pretty, but I passed on it. Now I am reconsidering that decision! Looks like it might be nice on the lids as well. Bloody hell, I really do need this don't I? Sigh. Next week! =) or maybe tomorrow! Ha! Thanks so much for the review, I was smitten with the looks of this alone and the affordability over the more luxury lines but was afraid of the shimmer. Now I can safely give it a go!